Thanks to Design for Good West Michigan for creating a beautiful new website for Wireman. See it here! 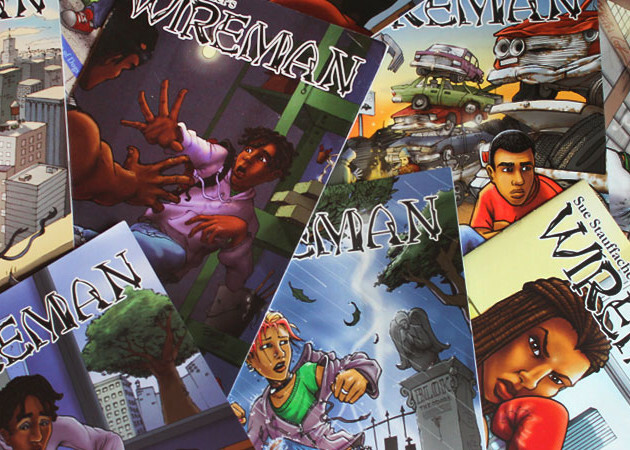 Recently, I set off with videographer, Gretchen Vinnedge, and social media maven, Sara Schneider, to find out what kids in major cities think of Wireman comics. 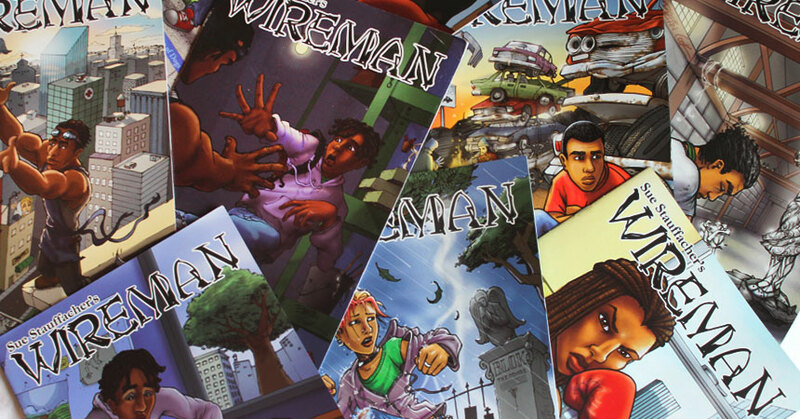 We know that kids love Wireman, but the world-at-large doesn’t know yet. But soon! Because we collected loads of video from Chicago, Detroit, Youngstown and New York city in which young people make their pitch to get more of the Wireman story. Our readers were both above- and below-grade level students. But we were hoping most to appeal to those kids who have decided reading isn’t for them. I have always believed that a compelling story, told with the readers’ point-of-view in mind, would crack the most hardened reading hater. Barring processing disorders that prevent them from being able to read, ALL kids can learn to read if they want to. Motivation is key. 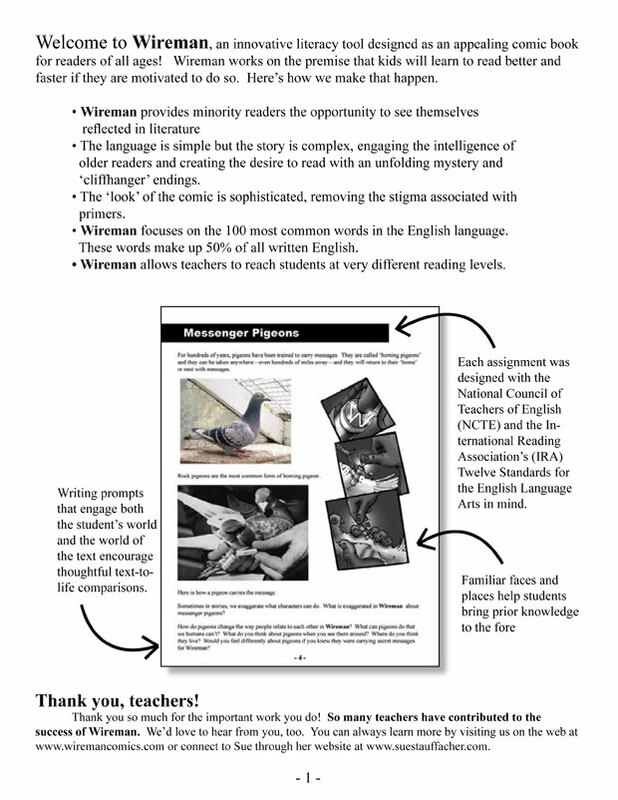 Please peruse this site to see how and why Wireman works as an innovative literacy tool. But to see that it works at motivating readers, you need to watch some videos. 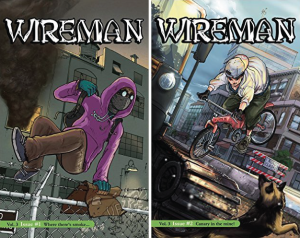 Sue wants to know how your at-risk classroom responded to issue 1 and 2 of Wireman. Write to her at sue@suestauffacher.com! Andre and his Mom move to Grand River to escape the bad memories over the death of Andre’s brother, James. But as soon as they arrive, strange and mysterious events take place. He befriends a beautiful art student named Maya who has not spoken a word since she arrived at Central High from Mexico. The school’s bad guys single him out; during a chase, Andre finds himself alone in an abandoned warehouse where he discovers hundreds of sculptures, one of which is a likeness of his dead brother. What does it mean? Does this artist hold some key to his brother’s unsolved death? Inspired by the story of the Philadelphia Wireman, Wireman takes readers on a spine-tingling journey filled with love, revenge and redemption. 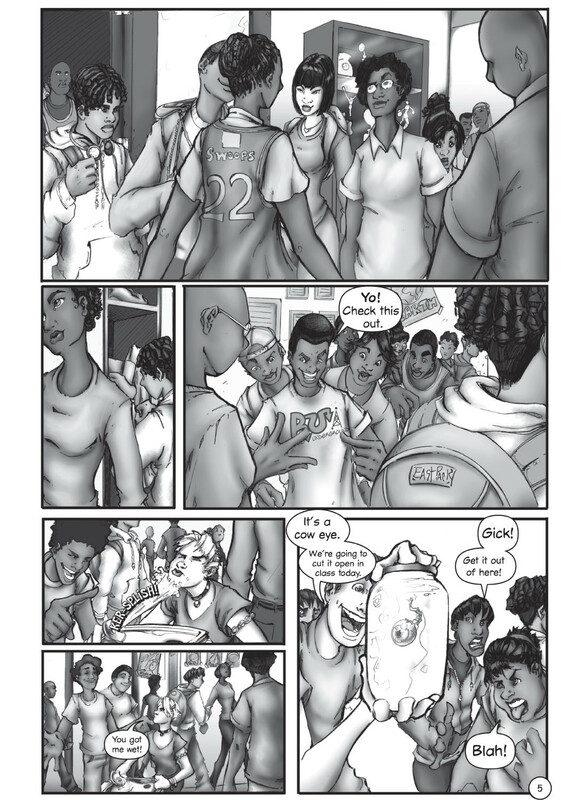 This other-worldly plot is intricately woven into the challenges that kids face today, from the temptation to betray your own values in order to fit in to relationship struggles to dealing with bullies. Appropriate for readers in Grade 4 and above, Wireman will hook even the most reluctant reader! For all those students asking us for the Wireman song, here it is for your to download free for your listening pleasure! 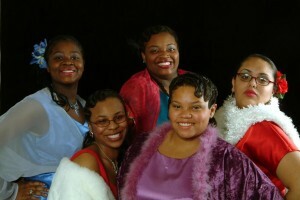 Sung by the REAL Lindsey and Erica when they were in high school. What a magical song! An exclusive 90-page curriculum guide is available on CD (and it rocks…really.) The curriculum integrates both national and state-level language arts skills goals. It’s all you need to expand the reading and writing experience…sequencing skills, prediction, text-to-world and text-to-self comparisons, summarization, fluency and comprehension skills, high-frequency vocabulary. In a 2005 pilot study in the Grand Rapids Public Schools, Dr. Barbara Schneider, a reading professor at Grand Valley State University, posed this research question: Does quality visual literature specifically geared toward urban children reading below grade level motivate them to read? Wireman, Volume 1 (four issues), focuses on the 100 most common words in the English language, which, according to reading experts Dolch and Fry, make up 50% of all written English. Volume 2 teaches students the top 300 high frequency words words, covering 65% of all that is written in English. 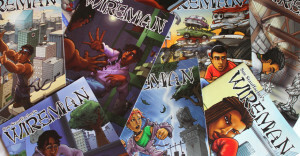 Wireman provides at-risk urban readers the opportunity to see themselves reflected in literature, a key component of positive identity formation. “Meeting yourself” for the first time in the pages of a book is great motivation to keep reading. Wireman’s language is simple but the story is complex, engaging the intelligence of older readers. Being able to read with their children eliminates the shame that low-level literacy adults often feel about their skills. Wireman’s ‘look’ is sophisticated, removing the stigma associated with primers. Most important, it’s a good story! Using an unfolding mystery and cliffhanger endings, Wireman taps into that universal desire to know ‘what happens’ and creates intrinsic motivation to read. We know there are complex reasons for low literacy rates. But let’s face it: many kids’ reading options just aren’t very appealing. What 4th-grader wants to be seen with Biscuit Finds a Friend? After working with at-risk kids for several years, author Sue Stauffacher was disappointed with the reading material available for struggling readers. Since she was also a children’s book reviewer, the literacy tutors she worked with kept asking for titles that wouldn’t shame an older child who was behind in reading. They wanted text with complex plots, but low vocabulary. Sue turned up very little in her search, so she decided to begin producing materials herself. 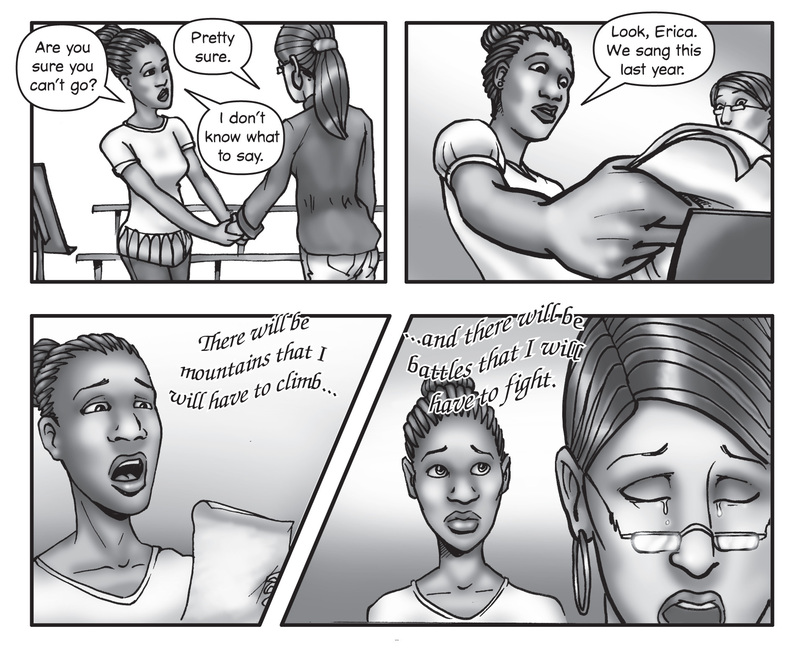 After extensive research, Sue chose the comic book format because the graphic images could help struggling readers with the simple text and also add a layer of sophistication to the story. Below find a few of the many versions Sue tested to arrive at her current series. 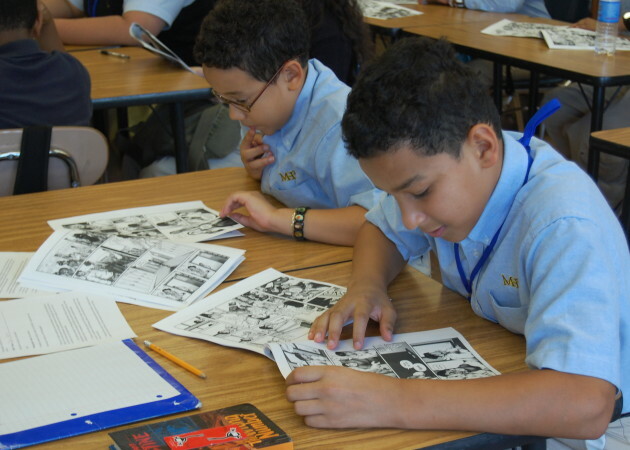 “My students and I have been reading your Wireman comics in an incredible way. They are completely intrigued about the “secret society” that has called Andre to serve. Why can’t Maya talk? Who are some of these characters? It is amazing. They are engaged to the bones. They have so many questions about the story. They want to know and understand so many things. They are analyzing characters, relationships, dialogues, word meaning, plots, main stories, side stories, etc. We are having a lot of fun here. Congratulations. The story you created is wonderful. Well done.” –Christian Roman, 6th grade teacher at SAIL Public Charter School in Washington D.C. Contact us directly if you have questions or are interested in purchasing comics in volume discount. Click here to download the order form to use when mailing us a check or money order. DOWNLOAD THE FIRST TWO WIREMAN ISSUES FREE NOW!